Below are our Standard Height Single footboards Tip and Roll Bleacher models. 6'L Portable Bench With Back Seats 4 - 129lbs. 8'L Portable Bench With Back Seats 5-136 lbs. 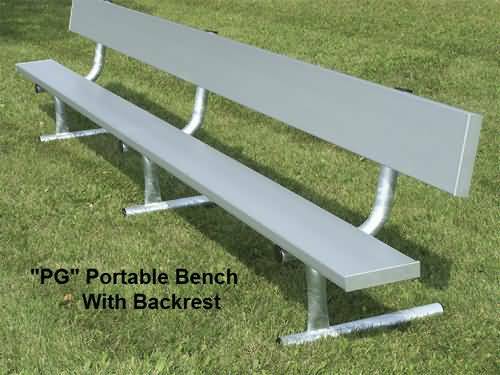 12'L Portable Bench With Back Seats 8 -177 lbs. 15'L Portable Bench With Back Seats 10-189 lbs. 21'L Portable Bench With Back Seats 14-262 lbs. 24'L Portable Bench With Back Seats 16-301 lbs.